100% Polyester - Polyester has the highest crease resistance, retains its shape, has excellent resiliency, high abrasion resistance and requires minimal care. Low absorbency allows this fiber to dry quickly. 15-39 UPF - Fabric construction or finish provides sun protection with rating of 15-39 UPF (Ultraviolet Protection Factor). 2 Layers Bonded - Two layers of fabric bonded together or one fabric layer is bonded to a breathable and waterproof membrane. 3 Layers bonded - A waterproof and breathable membrane is bonded between two fabrics. 50/50 - 50 percent cotton/50 percent polyester fabric; also referred to as "poly-cotton". 600-Denier - A waterproof and breathable membrane is bonded between two fabrics. Acrylic - A manufactured fiber with a soft, wool-like hand, machine washable and dryable, excellent color retention. Active Fit - A slightly trimmer cut than classic fit for a clean professional look, without excess bulk. Adidas Hat Clip - A conveniently portable ball marker that clips right to a cap or visor for golfers to mark their ball location when the ball has to be moved, for instance, to clear the path for another golfer. Adjustable Caps - Adjustable caps alter their size with the help of closures at the back of the caps. Air Jet Spinning - A type of open ended spinning that utilizes a stationary tube in which jets of air cause fibers to twist thereby forming a yarn. This process influences the feel of the fabric while maintaining excellent resistance to pilling and scratch. Air Mesh - A mesh with multiple layers, that allows air to pass through the fabric. Airjet Yarn - Cotton and polyester garments which provide a virtually "pill free" look, wash after wash.
Allen Solley placket - A one-piece placket that's hidden after being sewn. This process uses the existing fabric for the outside placket face. This is an upscale placket type. Anatomically correct straps 2 - Straps on a golf bag that are designed to fit the shape of a person's shoulders for maximum comfort. ANSI - The American National Standards Institute establishes guidelines for safety; styles specifically meant to promote safety and visibility often are held to ANSI standards. Anti Bacteria - Finishing process which protects against odor-causing bacteria. Anti Microbial - Special yarns or fabric finishes to control bacterial growth, prevent odors, and maintain garment freshness. Anti pill finish - The resistance of fabric to form little balls on the surface due to abrasion during wear. This could be a natural feature of the fabric or due to application of a special finish to prevent pilling. Applique - A separate, pre-cut piece of fabric that is decorated (or decorated and then cut), then applied to another piece of fabric, typically a garment. Audio port - Item has access ports to accommodate personal audio devices and headsets. Award jacket - A baseball-style jacket with contrasting striped trim. B-Dry Core - A category of the Badger brand made out of 3.5-oz polyester with moisture-wicking and anti-microbial characteristics. Back Closure - Fastly closed the garment through a zipper, hooks or buttons. Back locker pad - An additional piece of material that is sewn on the back of a shirt beneath the collar. It is semi-circular in shape and is designed to add strength to the area of the shirt that will experience stress from being hung from a locker loop (see Locker Loop entry) or simply hung by its collar from a locker hook, etc. Back Yoke - This is a piece of fabric that connects the back of a garment to the area across the back shoulders, allowing the garment to lie flat while following the reliefs of the body, ensuring correct drape and appearance. Badger Tech - A category of apparel with extremely soft fabric- as if ring-spun, combed cotton. 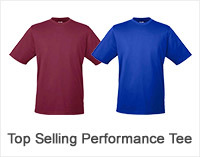 All TECH performance is made out of a new 4.1-oz polyester and spandex performance fabric. Ballistic nylon - A thick, durable, synthetic nylon fabric. Banded self collar - A type of collar made of the same material as the shirt. The two basic kinds of this collar are “simulated”, made of two pieces, or “true”, made of four pieces. Bar Tacks - Reinforced stitching used in clothing to make sewn products stronger. Baseball shirt - A shirt style featuring a crew collar, white body, and three-quarter-length raglan sleeves in a contrasting color. Besom pocket - Reinforced top seam found on the pockets of golf shirts. This reinforced top seam keeps the pocket in shape and durable. Bi-Swing Shoulder - A loose fit across the shoulder for ease of movement. Bicep Opening - Put the measuring tape around your bicep, pretty much close to your armpit. Tape should not be too tight. Wrap the tape around the bicep back to the starting point. Bill Length - The front part of a cap which measures from the length from one inch above your ears to the forehead. Binding - A strip of material sewn or attached over or along the edge of an item for protection, reinforcement or ornamentation. Bird’s eye - A two-color fabric design associated with double-knit fabric. Blind hem - A hem where only tiny tack stitches appear on the fabric surface. Not always secure when sewn on knits, may unravel after washing. Breeze Knit - Garment-washed cool knit. By garment washing, the cool knit gets a softer hand and reduced shrinkage. Brim - Also known as bill or visor, this is the part of the cap that shields your face from the sunlight. Generally it is made of plastic stitched inside the fabric. BT5 - A category of Badger apparel made up of 6-oz., moisture-wicking and anti-microbial 100% poly performance fabric. Buckram - The buckram is the liner on the interior of the front of the cap that gives of a baseball cap its structure and shape. Buckram backing - Stiff fabric used to give shape and form to items like caps, belts, etc. Also used to stabilize embroidery edges. Burnout - Usually a blended fabric (cotton/poly for instance) treated with a chemical to slightly dissolve one fiber in the cloth. The result is a sheer, lacy design that gives the fabric a vintage, worn-in feel. Because of this process, each garment is unique and, similar to tie-dyed or pigment-dyed fabric; there are often variations in the design and color. Examples of burnout tees are Canvas style 3601 and Bella style B8601. Cabretta Leather - Leather made from sheepskins that grow hair rather than wool, tougher than other sheepskins and used chiefly for gloves and shoes. Calendaring - Ironing process that adds sheen to the fabric by using heavy rollers (or calendars), pressure, and steam heat. Canvas - Strong, firm, heavyweight, and closely woven fabric. Usually made of cotton. 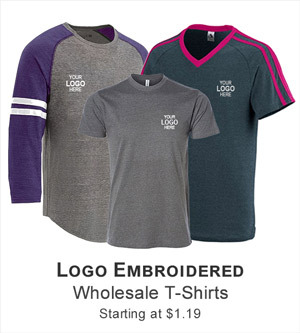 Cap sleeve - A very short sleeve that hangs over the shoulder but does not extend beyond the armhole on the underside, often used for ladies' fashion tees such as Anvil style 1441 or Bella style 8705. Carding - The manufacturing process of drawing out and arranging cotton fibers in a parallel fashion while removing impurities in the fibers. Carding is less expensive and less labor intensive than combing cotton, and results in a slightly coarser texture. Chambray - A plain weave fabric usually made of cotton or rayon, or a blend of these. Chino Cotton - A coarse twilled cotton fabric used for uniforms and sometimes works or sports apparel. Clean-finished placket - Typically the interfacing of plackets are raw or edged, which means they can look ragged or uneven, particularly on light-colored shirts. By cutting the interfacing in a rectangle, turning the edges under and fusing them in place, there is a straight placket with no raw edges. ClimaCool - A registered Adidas term used to describe products made of fabric that withstand wind and rain, and keeps moisture off the body. Coach's jacket - Style of jacket, comparable to a basic windbreaker, with fold-over collar and slash pockets. Color blocking - Merchandising and/or cutting term where a certain type or block of colors end up in the same place every time on the finished garment. Colorfast - The ability of a print to withstand repeated laundering and cleaning. Combed cotton - Cotton yarn that has been combed to remove short fibers and to straighten or arrange longer fibers in parallel order. Combing - A secondary cleansing process performed to remove additional impurities from the staple fibers after carding. This is more refined cotton than what is used in carding. 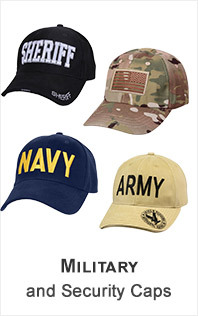 Constructed - A constructed cap has buckram backing. Cool knit - A variation of pique that results in a waffle-like texture and surface appearance. A durable woven cotton fabric that is often used in its medium-weight form for items such as shirts, slacks, jackets and trim. Its most recognizable characteristic is its lengthwise wales (also known as cords). Cotton sheeting - Plain-weave cotton fabric is usually pre-laundered, used for fashion sportswear. It's wrinkled to create crinkle cotton. Cover-stitch - Double-needle stitch that is used to secure seams and give a finished look. Cover stitching is often found around armholes and the cuffs, common in knit shirts. COVERSEAMED - A finish in which two needles is used to create parallel rows of visible stitching. This can be found around the neck, armhole, waistband or wrist of a garment to create a cleaner, more durable finish. Crestable panels - Panels that are available for custom branding. Crinkle cotton - Wrinkled or puckered cotton obtained by cloth, construction or finishing. It is prelaundered and made from cotton finishing. Cross cut - Fabric knit on a pique machine, which is slightly altered to provide a unique stitch. The face of the fabric is two-toned, which gives it a dimensional, textured look and feel. The garment stitching will have a horizontal appearance rather than a vertical one. Cross grain - This term is used for heavyweight fleece fabric. The fabric is sewn between ribs or panels on the side part of the garment for extra thickness and durability. Crown Length - The topmost part of the head (scalp) length; measure from brim/visor seam line (or edge) to top of crown. A narrow piece of leather or other strong material used for. Cut - This refers to the number of needles per inch on a circular knitting machine. A machine with 22 needles per inch produces a 22-cut fabric. Higher cuts equate to finer fabrics. Dazzle - A lightweight fabric that easily allows for breathability during physical activity. Dazzle fabric is distinguished by the pattern of tiny holes in the weave of the material. Often made of synthetic fibers as well as cotton/synthetic blends, the look of dazzle wear is somewhat sleek and shiny. Definition of Back Smoothing - It prevents back swell and distortions. Denier - A scale for the density (largely related to thickness) of fibers in fabric. The higher the value is, the thicker the fiber. For example, mesh athletic wear such as Badger's style B8529 use a lighter fiber (70 denier) for comfort and ease of movement, while Ultra Club’s Classic Briefcase style U1011 is made with thicker fibers (600 denier) for a stiffer fabric for durability and shape retention. Denim - A basic or cotton or blended fabric with right- or left-hand twill constructions. The wrap is usually dyed blue with a white filing. Deodorize - Deodorize is a treatment that provides resistance to apparel against odor/bad smell. Digitize - To translate a graphic design or text into computer language (digital values) for output from computerized embroidery machines onto substrates. Dimensional stability - Refers to the tendency of a garment to shrink or distort after washing. A garment that is dimensionally stable is one that is likely to maintain its intended shape through many washes. Direct Dye - Direct dyes give bright shades but exhibit poor wash fastness. Various after-treatments are used to improve the wash-fastness of direct dyes, and such dyes are referred to as “after-treated direct colors. Double Lines Hood - This is when additional fabric has been added inside the hood as a lining. This lining may be in a matching or contrasting color and would give the garment additional warmth, a stylish look as well as enhanced performance. Double-needle - A double row of stitching at the seam. Drawcord - A cord or ribbon run through a hem or casing and pulled to tighten or close an opening. Drop seam - A seam that is cut and lies below the shoulder of the garment. Drop tail - A design feature found in upscale products where the back of the garment is longer than the front, sometimes referred to as an "elongated" back. Duck - This plain-woven cotton fabric is typically heavyweight and is very strong and durable. 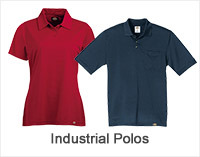 It is often used for heavy use apparel, such as work clothes and kids wear. e.c.o - Apparel made from organic, sustainable, renewable or recycled fibers. Easy care - Fabric that can be restored to its original appearance after laundering with only a minimum of attention. Easy care fabric is virtually wrinkle- free when laundered. Easy Tear - To pull into two or more pieces by force. Eco Dyed - Clothing that is organically dyed. eDry - Moisture wicking and UV protection knits made from natural cotton which are blended with the technical performance of polyester. Egyptian Cotton - Cultivated in Egypt's Nile River Valley, this cotton is considered the best cotton in the world. The particular growing season gives the cotton long and strong fibers, making it ideal for weaving into smooth, strong yarn. Commonly used in high-end towels and linens. 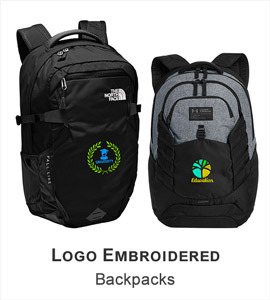 Embroidery - An embellishment of a fabric or garment in which colored threads are sewn on to the fabric to create a design, company logo, special message, etc. End on end - A weave in which the warp yarn (the yarn running lengthwise) alternates between two colors. Enzyme wash - Washing process that uses a cellulose-based solution to obtain garments that appear to have been stonewashed or acid washed. The solution physically degrades the surface of the cotton fiber. The fabric surface is not damaged to the extent of a stonewashed or acid washed garment. ePerformance - Polyester fabrics provide comfort with moisture wicking and antimicrobial properties, plus UV or snag protection. EVA molded - A type of foam with softness and flexibility that can be processed like other thermoplastics. The material has good barrier properties, low-temperature toughness, stress-crack resistance, hot-melt adhesive waterproof properties, and resistance to UV radiation for maximum durability. Expandable collar - The top button of a woven shirt is attached to an elastic band hidden under the fabric. This adds some stretch when buttoning the top button for more comfort on larger necks. Eyelets - Eyelets are small openings on the top of the cap that let the air reach your head. They can be composed of metal or reinforced stitching. EZ Away System - Item features detachable element such as liner jackets, hoods, sleeves or shoulder straps. EZE Pack System - Item is designed to fold away compactly into its own pocket. 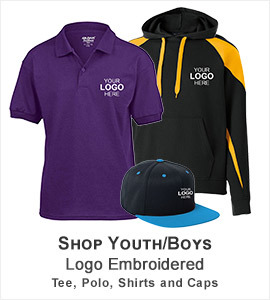 EZE-Custom - Garment is part of our EZE-CUSTOM program. To discover what is possible, contact us. Fabric memory - A term used for cotton fabric. When washing instructions are followed, it will always come back looking as if it were brand new. Face yarn - The exterior yarn of a fleece garment. Fine Gauge Knit - Ensures a smoother hand and fabric surface, allowing for better print. These caps are fitted to the size of the head and without closures at the back. Different sizes are available in fitted caps. Flat Knit - Welt knit fabric made on a flatbed-knitting frame as distinguished from tubular knit made on a circular frame. 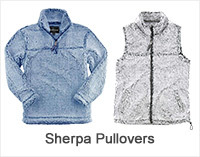 Fleece - A fabric with a pile or napped surface, sometimes of a unit construction; commonly used in sweats. Flexfit Cap - It modifies itself to the proportions of your head by use of a spandex headband present in the interior of the cap. Football jersey - A jersey shirt with a slight v-neck, stitched yoke and one-half-length to three-quarter-length sleeves. Forward shoulders - The positioning of shoulder seams so they don’t lie directly across the top of the shoulders. Instead, the seams lie slightly forward. This prevents the neck from falling backwards and making an uncomfortable fit for the wearer. Front Closure - The hook part is in the front instead of the back of the brassiere. Garment Dyed - A fabric is dyed after soaking it in a colored solution so that it takes on a new color; sometimes it is permanent and sometimes temporary. Hand - Quality or characteristic of fabrics perceived by sense of touch, e.g. softness, firmness, drape-ability, fineness (i.e. its tactile qualities). Hanger appeal - A retail term meaning very marketable or very appealing to a retail market; as in "looks appealing on the hanger"
Henley style - Shirt featuring a banded neck and button placket; may be ribbed. Herringbone - A decorative pattern of rows of slanted parallel lines alternating direction row by row. High cotton - Type of cotton fabric that results in a soft hand. Therefore, it has little or no lint and a tighter knit, which makes for ideal screen printing. High profile - It has more than 4 inches higher crown on the front of the cap. The high profile cap usually consists of a buckram lining (structured). Honeycomb pique - A knit fabric that is characterized by a wider waffle-like appearance, which actually allows the wearer more comfort. Hook and loop closure - Hook and Loop closure has gripping texture to fasten two tabs together. Houndstooth - Another variation of the twill weave, this one produces a broken-check pattern when woven with two different yarn colors. Indigo dyeing - Indigo dye is a substance taken from the indigo plant. There are many chemical imitation indigo dyes. Indigo dye color can only be achieved through a process of dyeing where yarn is dipped into a dye bath and is then allowed to oxidize. The number of dips determines the depth of the indigo color-the more dips, the darker the color. Inseam - An inseam is the inner seam on the legs of a pair of pants. Interactive System - Garment features internal connection to be inter-changeable with other interactive garments. Interfacing - A stiff material that is placed between two pieces of fabric to add shape to certain areas of garment. It’s often used in the collars and plackets of shirts made of woven fabric. Interlock - A fine-gauge knit fabric produced by interlocking or interlocking stitches on a circular knit machine. Similar to a jersey, except both front and back of fabric look identical. Interlock is a variation of rib knit construction. The fabric is extremely soft, firm and absorbent. Jacquard knit - Dyed yarn knit on sophisticated equipment to produce a desired pattern and/or texture. Jaspe pique - Two color yarns create subtle tone variations on the surface of the fabric. This allows exceptional embroidery surfaces. Jersey - A type of fabric with a flat appearance, knit on a circular, single-knit machine; its principal distinction is that it is not a fabric with a distinct rib. Kasha-lining - A lining principally for jackets featuring cotton flannel, napped face and an imitation chambray back. Leather Strap and Grommet - These caps have a leather strap with buckle and grommet at the back side which help you to adjust the size. Linear - A form of measurement of fleece's weight. The higher the number, the heavier and warmer the fabric. Locker loop - A self-fabric loop sewn into the center of the back yoke seam for a functional styling detail. 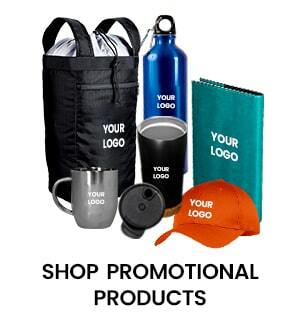 Low profile - This consists of a 2 to 3 inches structure or lower crown at the front of the cap without buckram (unstructured). Lyocell - A fabric made from wood pulp. Tencel is a well-known brand name of this fabric. MAG pockets - Magnetic access pockets. Marbled - A texture that involves a body color with contrasting highlight flecks on the surface. These flecks give the garment a heather-like appearance. Mercerization - A process that eliminates all of the small "hairs" of yarn, which adds to its luster. This yarn is then additionally run through a caustic solution, which further smooths and adds gloss to the yarn surface by burning off additional fabric hairs. Microfiber - Very fine fibers, which give a unique appearance and soft hand. Microfiber fabrics are generally lightweight, resilient and resist wrinkling. They have a luxurious drape and the body retains its shape and resists pilling. They are also very strong and durable. Mid profile - It is a kind of baseball cap with a 3 to 4 inches structured medium crown at the front of the cap. The mid profile cap has an elastic back and is not adjustable. Mock turtleneck - A shortened version of the turtleneck; the neck of the garment does not fold over. Moderal Coverage - It’s a full-coverage bra, covers the breasts completely without exposing any cleavage. Modern Fit - A sleek, modern silhouette featuring an athletic shape. Moisture wicking - Moisture-wicking fabric draws moisture from perspiration away from the skin to the surface of the garment to evaporate more quickly and easily. 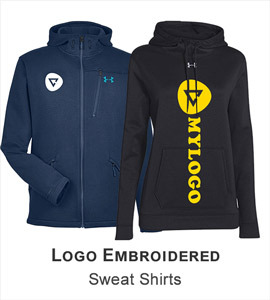 Moisture-wicking styles, such as the UltraClub Cool & Dry line, are ideal not just for athletes and teams, but also for general wear because they help keep the wearers feeling fresh and dry. Nailhead woven - Consists of a solid background and color and little pinheads' (or small nailheads) of fabric spaced at regular (and very small) intervals. The effect of this pattern is that the background color tends to overshadow the nailhead pattern. NuBlend fleece - A three-end fleece made of 50% cotton and 50% polyester with an anti-pilling surface. Nubuck - A synthetic leather with its finished surface buffed to a slight nap or suede-like appearance. Open-end yarn - A process that eliminates some manufacturing steps needed for ring-spun yarn. This cost-saving process is passed on to the garments produced. Ounces per sq. yd - A measurement of fabric weight. Customers usually ask for this value when comparing to competitive brands. Oversized - When a garment is intentionally cut larger than the standard size. Oxford - Soft, somewhat porous, cotton shirting weave that creates a soft, nubby texture. Panel/piece program - When a manufacturer sends out unfinished pieces of a garment or other item to be embroidered before it is sewn into the finished product. Peach finish - A soft hand (feel) usually obtained by sending the fabric lightly; it can be achieved with chemical or laundry abrasion. Pearlized Buttons - Buttons that have a pearl- colored button hue. Perfect Fit - Our exclusive ladies' collection, Thoughtful designs that flatter every size and shape without clinging to the wrong places. Peruvian Pima Cotton - The world's finest pima, prized for its exceptional softness and brilliant luster, as well as its durability. Peruvian Pima Cotton is referred as the "cashmere of cotton"
PET recycled polyester - P.E.T. (polyethylene terephthalate) refers to a specific type of plastic often used in plastic bottles. In a 7-step process, bottles are reclaimed and made into polyester fabric. This fabric is used, for instance, in Anvil's style 450. PFD - Prepare for dyeing. It indicates that the garment has been specifically prepared for the garment-dyeing process. Piece dyeing - Fabrics that are dyed solid colors after they have been woven or knitted, but before they are sewn into a garment. Pigment dyeing - A class of dye used on cotton or poly/cotton. Neon or fluorescent colors are done with pigments. Distressed looks are created using pigments. Pigments have the least degree of fastness of all the dyes, but create the brightest colors. Pigment dyes will typically stay in the pastel range unless it's neon. You cannot deepen color with a pigment. Pima cotton - High-quality yarn made by plying yarns spun from long combed staple. Pinnies - Sleeveless jerseys, often used in soccer or lacrosse practice. Pinnies are often two-color, reversible vests to help a practicing team know who the opposing players are. Piping - A narrow tube of fabric, sometimes enclosing a cord, used for trimming seams and edges as an added fashion detail. Pique - A knit fabric that is characterized by its waffle-like appearance. Placket - The construction that forms the opening in the front of the shirt, allowing the wearer to put it on and take it off with ease. Plain weave - Simplest, most common of all basic weaves. The surface provides a smooth surface for printing. Plastic Snapback Cap - It has a plastic snap on the back of the cap at different distances that allow you to adjust the size. Plastisol - A printing ink most commonly used on garments that contain a plasticizer and resin and will not air dry or air cure. Poly viscose - A synthetic material similar to rayon, made of 65% polyester/35% viscose that creates a lightweight, soft hand fabric that's particularly popular in retail markets. Polynosic - A type of microfiber that is a blend of polyester and rayon fibers and having a soft finish. Poplin - A medium-to-heavyweight unbalanced plain weave. It is a spun yarn fabric that is usually piece dyed. Powder dyeing - Process that allows polyester to blend with cotton to give garment a dyed appearance. Powder dyed garments ensure consistent color, wash after wash.
PrintPro - Fleece fabric construction with a two-end yarn system that allows for an increase in the amount of stitches per square yard. Pro Round Profile - It has dual tone buckram and rounded upper panels that shape to rest more securely on your head. PU construction - A synthetic split leather with a layer of polyurethane applied to the surface and then embossed. Quarter turned - An additional manufacturing process where the mill rotates 1/4 of a turn to put a crease on the side of the product rather then the front of the product. Quick dry - To restore the dryness rapidly. 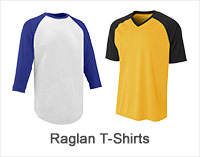 Raglan - A raglan sleeve is stitched under the arm and in two parallel lines leading from the armpit to the neck; it makes for ease of arm movement. Ramie - A strong, staple fiber of cellulose yielded by the inner bark of the ramie plant. It's often used as a less expensive substitute for linen or cotton and is usually blended with cotton, flax or silk. Reactive dye - Special dye used on a garment which produces, when the label's wash instructions are followed, a more set-in color tone. Reflective - Reflective trims offer night time visibility and increase safety. Resin treatment - The addition of thermosetting resins applied in the finishing process used to control the shrinkage of a fabric and add durable press characteristics. Reverse Applique Service - Sewing abilities in which an outline is cut from a top layer of fabric and the raw boundaries are twisted under and stitched to expose one or more layers of fabric underneath. Reversible - Garment can be reversed to wear on the opposite side. Rib - A stretchy fabric normally used for trim. This stitch is formed by two sets of needles at right angles to each other. The face of the fabric appears to be the same as the backside. Rib Knit - A textured knit fabric that employs the rib stitch and has the appearance of vertical lines. The ribs can be of any width. It is highly elastic and retains its shape. Ring-spun yarn - Yarn that is reproduced on ring frame equipment. This yarn produces a softer hand when knit. Ringer tee - A shirt, usually white bodied, featuring ribbed crew neck and sleeve bands in a contrasting color. Safety - Garment is constructed with high visibility fabrics to increase job site safety. Sandwich hat - A hat where there is contrasting trim between the upper and lower part of the visor. Scoop neck - A rounded neck, larger than a crewneck, but smaller than a boatneck. Seam Sealed - Specific seams are fused with waterproof tape to prevent moisture penetration. Seamless collar - A collar that is knit in a circle and is set in circular. There are no joining seams on the collar, found in better-made t-shirts. Self fabric collar - A collar that is constructed from the same material as the body of the garment. 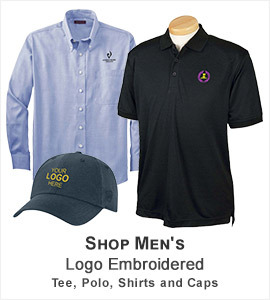 Service - Garment is designed to be easy care and withstand the rigors of the service industry. Set-in sleeve - A style of sleeve that is sewn into the shoulder, as opposed to the neck. Set-on - A separate piece of fabric, making the placket is sewn onto the shirt. Shearling - Traditionally a sheepskin shorn close for a uniform length of wool fibers; a synthetic production of similar fabric for added moisture-wicking properties for year-round comfort. Sheering - The minimal gathering where the fabric meets, creating a flowy, draping quality. Sheeting - A plain-weave cotton fabric usually made of carded yarns. Sherpa - A knitted terry fabric that has been brushed and washed to raise the fibers for a fluffy, plush feel. The thick terry loops stay soft and absorbent over time. Shoddy - Clippings of extra fabric from the production of tees is gathered, sorted by color, then processed into a pulpy material called shoddy. This material is then respun into yarn and used to create recycled apparel. Side seams - Seams that join the front and back together. This feature is not found on T-shirts and some placket shirts. Side Smoothing - Provides soothing comfort on side part of breast. Single-needle - A stitch, requiring a single needle and thread, characterized by its straight-line pathway. A single-needle shoulder seam has been finished with a visible row of stitching, single needle, for additional reinforcement and fashion. Slide Closure Cap - It consists of a buckle at the back of the cap which is used to adjust the size. Slub yarn - When "slub" yarn is spun it forms intermittent lumps in the yarn. The lumps, called "slubs," appear thicker than the surrounding yarn when it is knit into fabric. It gives a burnout like appearance without the transparency and easier printability. SNAG Protection - Fabric is specially engineered to provide protection against snagging. Snag Resistant - A fabric constructed to resist snagging, ripping, threading, etc., when rubbed against a rough surface. 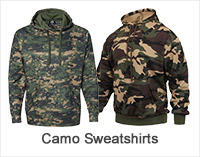 Snag resistant fabric is extremely durable for repeated wear. Snapback - This type has a plastic snap at the back that snaps at different distances to modify the fit size. Soft Washed - To clean the given exterior using a much softer amount of pressure. Sonic weld logos - A type of logo treatment, where the graphic is applied without the use of stitches. A direct injection of material is applied to the fabric to create the logo. Staff bag - A style of bag used on the PGA Tour and other professional tours. Stonewash - A finishing process that creates a distressed appearance, including a softer texture, puckering at the seams and slight wrinkling. Garments are tumbled together with stones (usually pumice stones) in larger washers. This process is usually applied to indigo-dyed denim garments. Different sizes of stones can be used and length of washing time can be varied to achieve different effects. Stretch - Fabrics are engineered to stretch, providing added comfort and flexibility. 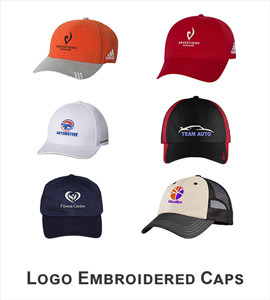 Structured Cap - Structured or High Profile caps are normally always constructed (meaning they are supported by a buckram lining). Sueded fleece - A very smooth and luxurious fleece that is made with an 80/20 cotton and polyester blend; a unique finishing process wherein the fabric is gently "sanded," which causes the fleece to become very soft. 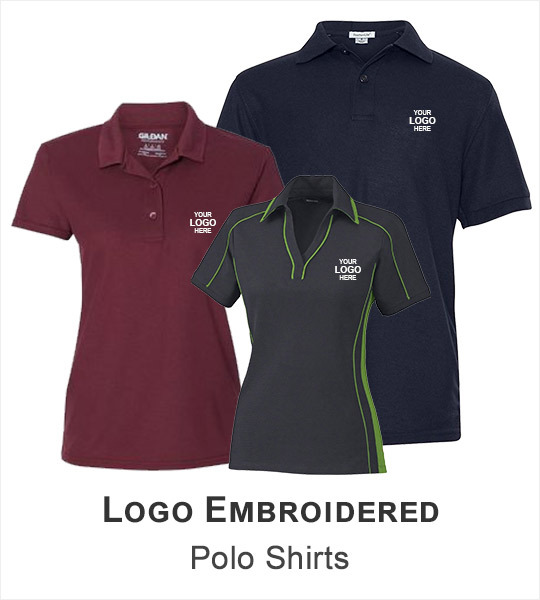 Tagless label - This describes a method of labeling that has the brand and size information printed directly on to the inside back neck of a garment. Tape Closure Cap - This type of cap has two adjustable straps/loops at the back that attach with each other at different sizes. Taslan - 100% nylon fabrication with a water-resistant coating that has been woven as a twill and washed to provide a soft hand. Tearing Strength - The force required to tear a bag. Thermoplastic - A plastic that is soft and pliable when heated without any change of the inherent properties. Tipping - A dyed stripe in a contrasting color, often around the collar or sleeve hems of a polo to add a unique accent to the shirt's fashion. Tour Preferred - TaylorMade's top level product. TPR rubber - A specific form of rubber used on logos. Tricot - A plain warp-knitted fabric of nylon, wool, rayon, silk, or cotton with a close elastic knit. Often used in athletic jerseys or as a lining material. Tubular knit - A golf shirt style with no side seams. The bottom is rounded all around. Twill - Characterized by a diagonal rib. Twill weaves are used to produce a strong, durable, firm fabric. Unstructured Cap - Also called Low profile crown caps, they are usually “unstructured” meaning the 2 front panels of the cap are not held up by buckram. UPF - Ultraviolet protection factor; refers to the amount of UV rays blocked by the fabric with a rating of UPF 50 blocking 100% of UVA and UVB rays. UPF and SPF ratings are not interchangeable. 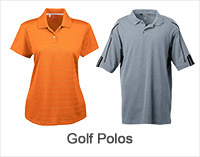 UPF Protection - Fabric construction or finish provides sun protection. UV Protection - Fabric construction or finish provides sun protection. UV Protection 40+ UPF - Fabric construction or finish provides sun protection with rating of 40+UPF (Ultraviolet Protection Factor). V-neck - Collar that is cut in the shape of the letter "V". Velcro - It has two fabric straps with Velcro on opposite sides to attach to one another at different lengths. Vintage Wash - Treatment that makes fabric old and rusted. Water repellency - The ability to resist penetration by water. Not as rigorous a standard as waterproofness. Water repellent fabrics cause water to bead up on their surfaces while allowing insensible perspiration to pass through. Water beads up and rolls off a water-repellent fabric. Water Repellent - when a fabric is air - permeable, but blocks the passage of liquid to a certain degree. Fabrics are treated with a type of finish to achieve this effect. Like waterproof fabric, it is very difficult to print on this type of fabric. Water resistant - A treatment to fabric that allows water to "bead" and fall off a garment. Waterproof/breathable - Ability to keep water from penetrating but permits water vapor to pass through. There are over 200 fabrics of this type available today, offering a varied combination of waterproofness and water vapor permeability. Waterproofness - The ability of fabric to withstand penetration by water. Conventional waterproof fabrics are generally coated with chemicals or laminated with a film that closes the fabric pores. (See waterproof/breathable). Weather resistant - A loose term referring primarily to a fabric's wind-resistant and water-repellent properties. Water-resistant fabrics are those that resist the penetration of water. The greater the force of impact of the water hitting the fabric surface, the greater the likelihood it will penetrate the fabric. Weight (also known as yield) - Expressed in terms of ounces per square yard of fabric. Generally, fabrics weighing less than 4 oz. are considered lightweight, while medium weight is from 4 to 5 oz. and heavyweight is 5 to 6 oz. (weight categories vary from fabric to fabric). Wind Proof - The ability of a fabric to shut out wind or air. Window pane - A checkered, plaid like pattern that is characterized by having vertical and horizontal lines that intersect, creating the appearance of a window pane. WindPro - Tested perforated umbrellas. 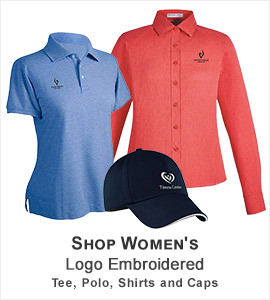 Windsmart Technology - Garment constructed with a wind barrier for maximum wind resistance. Work Wear - Garment designed with trade in mind, featuring durable construction and long-lasting fabrics. Wrinkle Resistant - Permanent press shirting fabrics resist wrinkles and hold their shape, wash after wash.
Wrinkle-free - The process for giving a wrinkle-free finish to fabric involves applying a resin on the fabric, drying and curing at extremely high temperatures to the desired dimension, removing any residual chemicals, and final drying. Yarn-dyed - Dyeing that occurs at the yarn stage, before it is made into fabric. Yoke - Contoured part of a garment, usually at the shoulder or hip.